Sue Minter speaks to the Senate Education Committee on Wednesday. Nearly three months after the gubernatorial election, Sue Minter made an appearance Wednesday in the Statehouse, hoping to turn a campaign promise into a reality — even though she lost. The Democrat pitched the Senate Education Committee on her plan for free tuition for Vermonters to attend the state’s community colleges or Vermont Technical College. “I am not going to give up on this idea,” Minter said. The timing proved a bit awkward. Her testimony came just one day after the education committee voted 6-0 against moving forward on Gov. Phil Scott’s controversial school funding plan. Scott proposed increasing funding for the Vermont State Colleges, the University of Vermont and the Vermont Student Assistance Corporation by freezing local school budgets. Scott criticized the education committee Tuesday for acting so hastily — even though he’d asked legislators to expedite the vote. Committee chair Phil Baruth (D/P-Chittenden) promised his panel would still spend “considerable” time discussing other portions of Scott’s plan. Some of that “considerable” time started Wednesday when the committee examined alternative ways to boost higher education support. 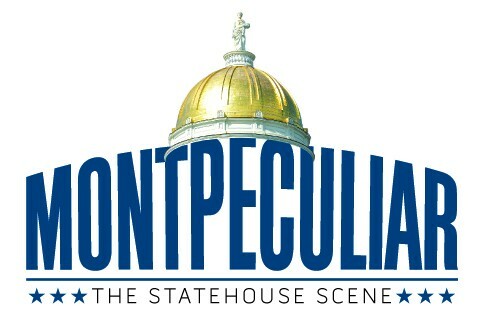 Minter and Sen. Anthony Pollina (P/D-Washington) offered two separate plans for state-supported tuition. The panel’s discussion lasted about an hour and 15 minutes — more than twice the amount of time the committee debated Scott’s plan the day before. “Since we couldn’t get Bernie Sanders, we went with our heavy hitters that were around,” Baruth said of Minter, who lost in November by 9 percentage points. He said Minter contacted legislators about her interest in keeping her campaign proposal alive. Minter’s plan, based on one in Tennessee, would pay for two years of tuition for Vermont students to attend the Community College of Vermont or Vermont Technical College. She pitched coming up with the initial $6 million cost by increasing the state’s bank franchise fee. On Wednesday, she suggested the state seek private funds to match that money for subsequent years. On the campaign trail, Minter said she heard repeatedly from employers who couldn’t find qualified workers. Scott cited the same problem. Scott at the time dismissed Minter’s tuition-free idea as something the state, and banks, couldn’t afford. Once he became governor, he proposed increasing higher ed funding for Vermont students training for available jobs. But his plan to pay for it with money saved from the K-12 school system hasn’t gone over well with the majority Democrat legislature. 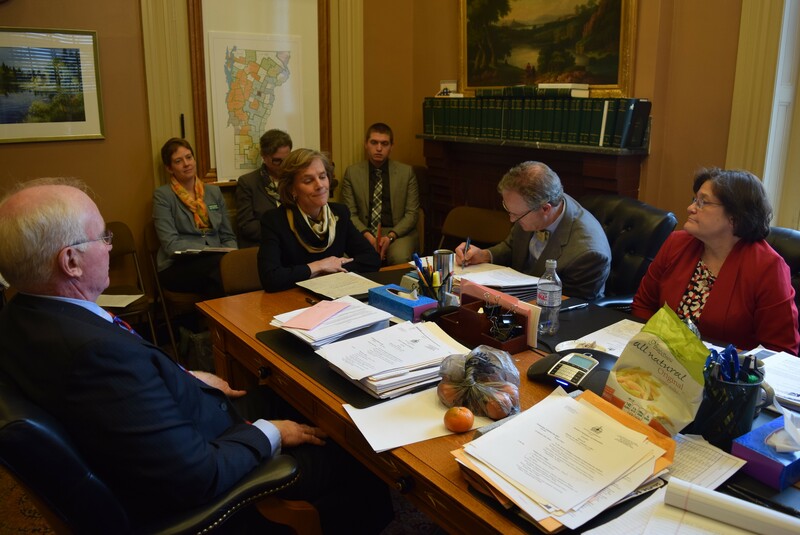 Pollina pitched tuition assistance for low- to middle-income Vermonters to attend CCV or Vermont State Colleges. He’d pay for it with an increase in the bank franchise tax and by not replacing state vehicles as often. Baruth, who is also a University of Vermont English professor, supports increasing funding for both early childhood and higher education. But he said Scott’s proposal, to take money raised through property taxes from the K-12 system to pay for higher and early childhood education, is “a non-starter” for him. “The idea is to have a couple concepts ready in the event the administration is willing to work with us on finding areas of funding,” Baruth said. Baruth’s attempt at compromise — by embracing a concept that Scott dismissed during election season — seemed an interesting way to try and get a deal done. Scott’s spokeswoman, Rebecca Kelley, reiterated her call from Tuesday. “We hope and expect that the education committee will give serious consideration to the governor’s proposals for investment in higher education,” she said.